There’s nothing like driving at night to regather your thoughts and emotions. It’s dark, the road winds on and on, and if you live in the country like I do the stars hang patiently above on clear summer nights. The imagery is stark: I remember a time where I drove off into the middle of nowhere just to drive. It was pitch black out but for the stars and moon and my headlights. Speeding past farms with barking dogs and hills covered in wheat fields with my windows down, letting the cool evening summer air wisp by my ears and blow in my hair—it’s an amazing feeling; one that Arco easily brings home with the A-Side chorus of this single. 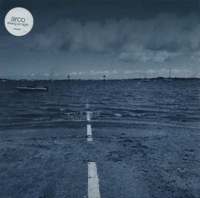 Hailing from England, Arco may very well be the slowest and quietest band ever to have existed. Despite the turtle-paced tempos, the group creates beautiful melodies of sorrow draped across a dreamy painted evening sky. 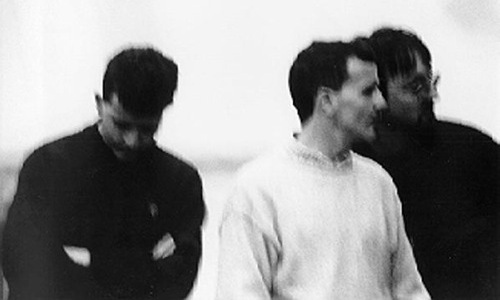 “Driving at Night” is the A-Side and can be considered one of the group’s more catchy tunes. “All This World” is one of Arco’s louder tunes, but to most bands it would still be considered a soft ballad. Using a buzzing slide, the harmonies set this song apart from others making it my favorite song by the group (with the A-Side coming in a close second). I was introduced to Arco by my friend Taylor who helped bring them to Moscow, ID when the group came to the US for a West Coast tour. It was there I picked up this limited single, numbered 10 of 300. Released on the potentially defunct Dreamy Records, Arco can now be found on the Pehr record label in California. This review was originally published July 17, 2006 on the old version of FensePost.